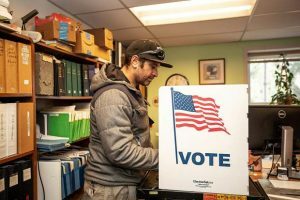 Wednesday was the deadline for candidates to turn in their nominating petitions seeking a seat on Aspen City Council. It will be a four-person mayoral race and a four-person council race. Two seats are up on council, which are four-year terms, and the mayor is a two-year term. The mayoral race has Adam Frisch, Ann Mullins, Torre and Cale Mitchell. The council race has Rachel Richards, Linda Manning, Skippy Mesirow and Bert Myrin. 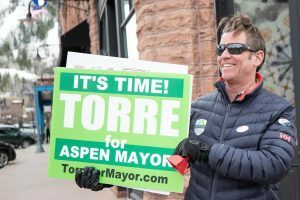 Longtime Aspenite and former City Council member Torre has entered the mayoral race. 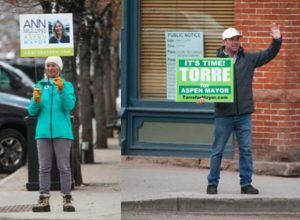 Torre turned in his nominating petition to the City Clerk’s Office on Wednesday, which was the deadline for candidates to declare their desire to run for elected office. He joins three other candidates hoping to fill the two-year term. 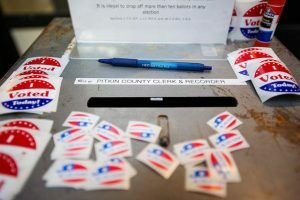 Other candidates are council members Adam Frisch and Ann Mullins and Cale Mitchell, who is a newcomer to Aspen politics. Torre, who served on council from 2003 to 2007 and again in 2009 to 2013, said he had been considering a bid for council but after discussing his candidacy with people in the community, they encouraged him to run for mayor. “I do see a need for a different kind of leadership,” he said Wednesday. This is Torre’s sixth bid for mayor. He lost in 2001, 2005, 2007, 2013 and 2015. He also ran for council in 2017 and lost in a runoff with current councilman Ward Hauenstein. “My interest is always to be active and participate,” he said. Some of those issues are still plaguing the community — traffic congestion, the lack of workforce housing, protecting the environment and managing growth. 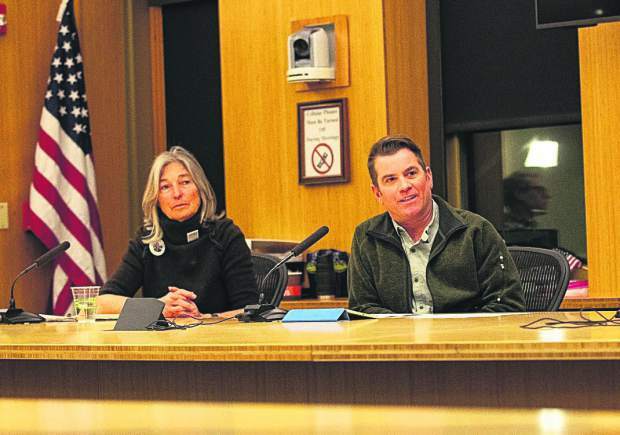 He said some of his proudest moments of his eight years on council was being the swing vote that approved building workforce and family housing at Burlingame, making recycling mandatory and banning plastic bags from local grocery stores. And one place to begin is composting, which is all but nonexistent in the city, Torre said, adding that 40 percent of the waste stream could be diverted from the landfill. 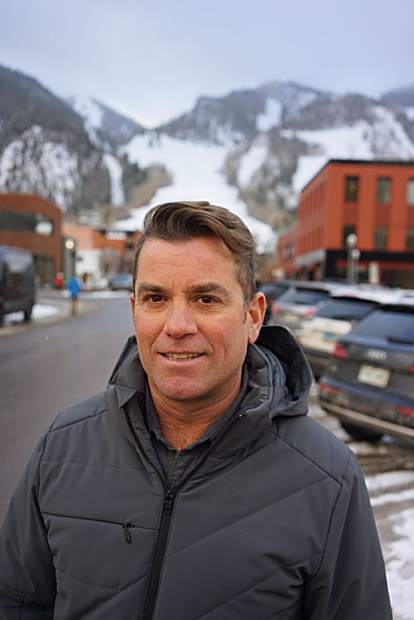 He said the Aspen-Pitkin County Housing Authority needs an overhaul, both on how the board operates and how the program is run. Torre added that he wants to see more housing built for entry-level workers. As an issue-based candidate, Torre said he’s witnessed a lot of missteps from the city manager’s office and council on a number of initiatives in the past few years. They include the community fight over where city offices should be built, a transportation mobility experiment slated for next year that just saw council back out of a contract with Lyft, a recent dust-up with the APCHA board about a public-private housing development and the government growing by 11 employees in 2019. Torre said it could be irresponsible to add 11 new positions to the payroll when observers are predicting an economic downturn next year. He added that government growth adds more layers of bureaucracy. He said he plans to examine the staffing levels of each department in City Hall and see where those layers could be thinned out and resources put elsewhere, such as in the building or streets departments. Torre said being on council for eight years and watching from the sidelines for the past six gives him the perspective to be an effective mayor. Torre said managing slow growth is key to a successful community; he was supportive on council to reduce the heights of downtown buildings to 28 feet. When he was an elected official, Torre took direct feedback from residents and carried their ideas to City Hall. He did that when a citizen asked for designated scooter and motorcycle parking in the downtown core. He said he’s looking forward to campaigning until Election Day on March 5.